Safe Harbor can manufacture crossover platforms to your specifications with our Crossover Platform Configurator. 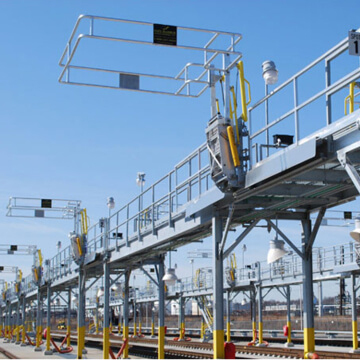 The Crossover Platform Configurator quotes your platform based on selected features including height and material. Start building today. Safe Harbor has designed, developed and delivered customized truck loading racks and platforms, both single access platforms for single hatch trucks as well as multiple access platforms for multiple hatch trucks and trucking fall protection. 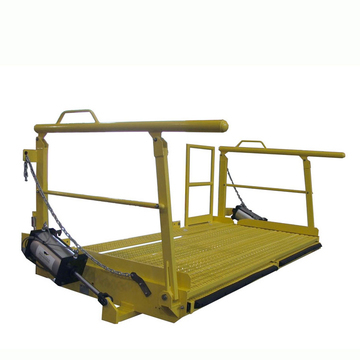 Safe Harbor Marine offers various types of access for barge and ship such as stage gangways, custom ramps and various other solutions to meet our client’s needs. 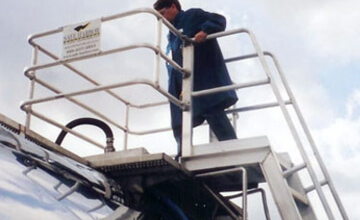 We provide quality engineering, fabrication and on time delivery to meet fast track schedules. Our ability to serve your engineering needs creates an overwhelming advantage by allowing you to retain all the services you need from one source. 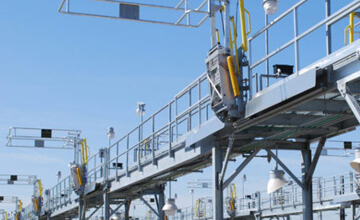 Safe Harbor Access Systems is the preferred provider of loading platforms and safety access systems which incorporate fall protection and safety solutions for bulk loading areas. We realize that each customer has unique requirements, which call for innovative and creative solutions. We will listen to your concerns and analyze the physical characteristics of your site. 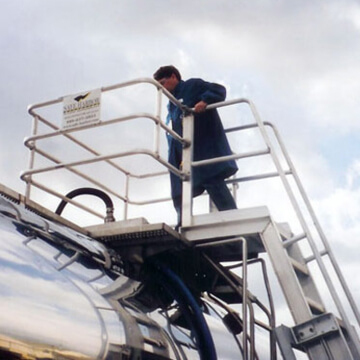 With your input we will develop cost effective access solutions for your bulk loading application. Let Safe Harbor guide you from project definition through installation of your custom application to make your project a success. Safe Harbor loading racks are designed for single spot or multi-spot loading areas in a variety of heights available to suit specific applications. 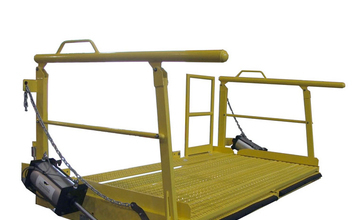 Safe Harbor gangways are designed for a wide range of vehicle height variances for operator comfort and maneuverability. Our portable truck access systems are easy to maneuver with perpendicular or parallel approaches to vehicle.